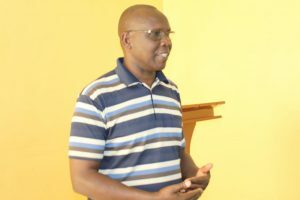 On Monday Chief Officer Cooperative development Dr.Benadatte Tiony together with Director Cooperative Development Stalin Koech held a meeting with the interim committee of the proposed Nandi Cane Growers Cooperative Union to brainstorm over the way forward of the issues that arose in the previous meeting. The objectives of forming the union include the need to add value to the cane, all the canes from primary cane cooperative societies, to provide advocacy role to the cane farmers on cane policies. 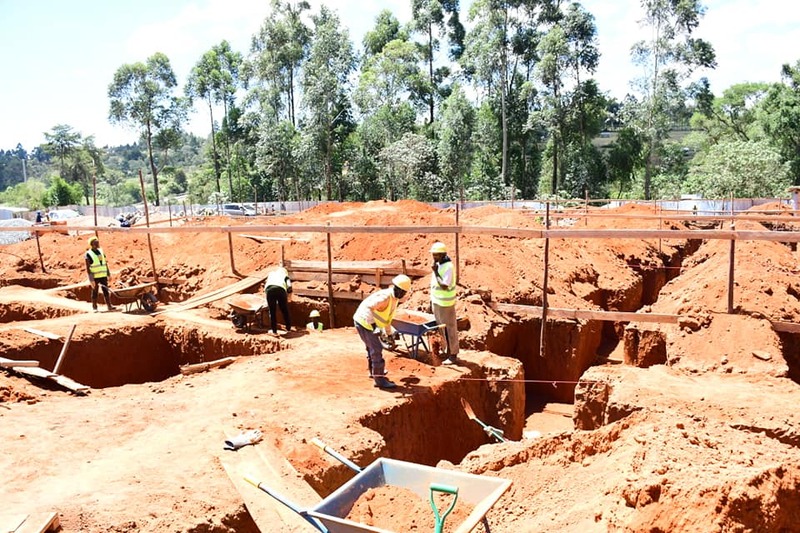 The county government will not only chip in and provide extension services, but also provide enabling environment for the growth of the industry through friendly policies, it will also partner with other development partners in the industry. 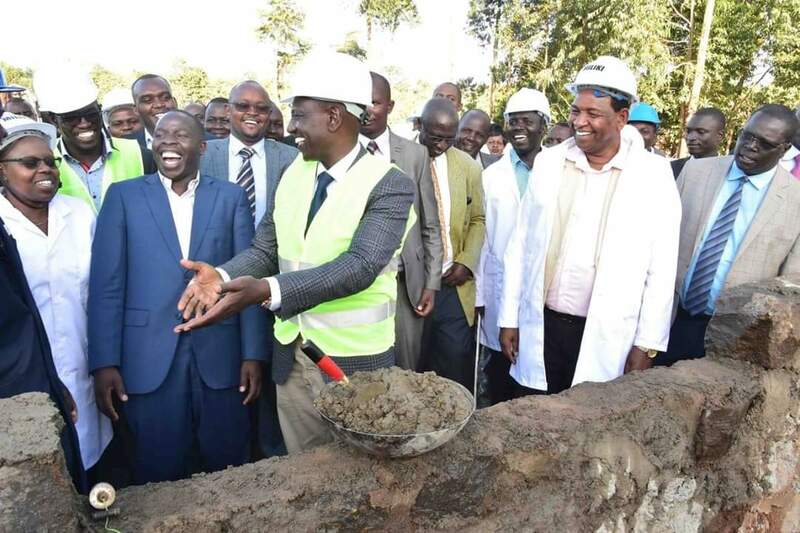 The interim committee pleaded for construction of sugar cane factory in Nandi County, citing that it will be a relief to them since whenever there is a political difference they face insecurity issues transporting their goods. They also mentioned that 75% of sugarcane processed in the surrounding sugar factories originate from Nandi County but the most of the Corporate Social Responsibility activities are conducted in the neighboring counties. 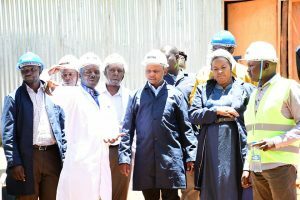 The establishment of a sugar factory will not only enhance sugarcane farming but also provide employment opportunities for young people and enhance the county’s revenue generation.It is also through the union that the farmers will have the power to bargain farm inputs and the sale of cane and its products. 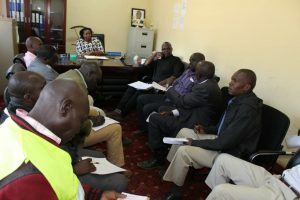 On Thursday, Nandi County hosted the Small-holder Dairy Commercialization Programme (SDCP) National Steering Committee led by the Principal Secretary State Department of Livestock Mr. Harry Kimutai. 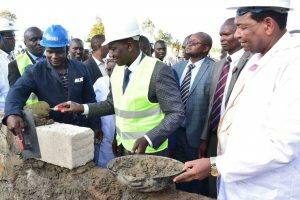 The NSC was in the county to assess on the status of various projects that is being jointly implemented by the National and County Governments. 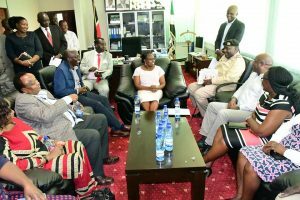 During the visit, the two tiers of government had an opportunity to put their heads together and deliberate on the perpetuity of the programme once SDCP exit the stage and hand over to the County Government. SDCP, National Steering Committee paying a courtesy call to the Deputy Governor. 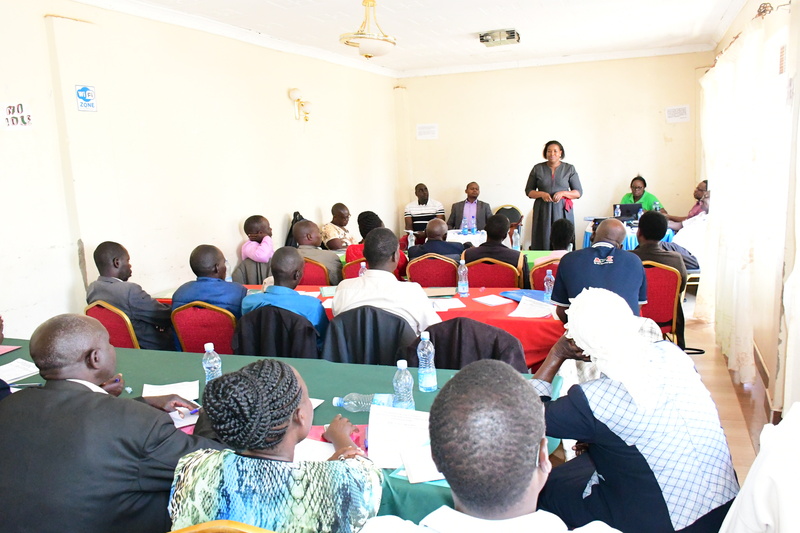 The committee was welcomed by the Deputy Governor Dr. Yulita Mitei alongside Deputy County Commissioner, the CECM Agriculture, Chief Officers, Directors (Livestock, Veterinary & Cooperatives) and the program coordinator. 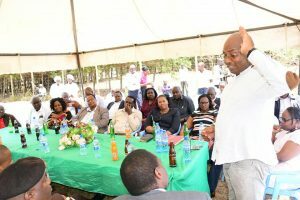 The visit was meant to assess the implementation status of the SDCP with the team visiting Lessos Farmers’ Cooperative Society who have benefited from the programme support of two milk bulk coolers worth Ksh 1,000,000 for ICT. Lessos Farmer’s Cooperative Society, Mogoon site. The team also visited dairy youth farmers Mr. & Mrs. Ng’etich and Mr. & Mrs. Kiprono at their farms in Nandi Hills. 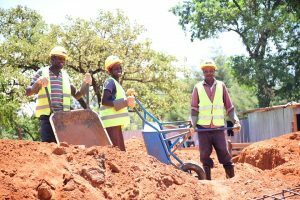 The group then highlighted the achievements they have received through the grant support by the programme to purchase a feed hammer mill worth Ksh. 240,000. 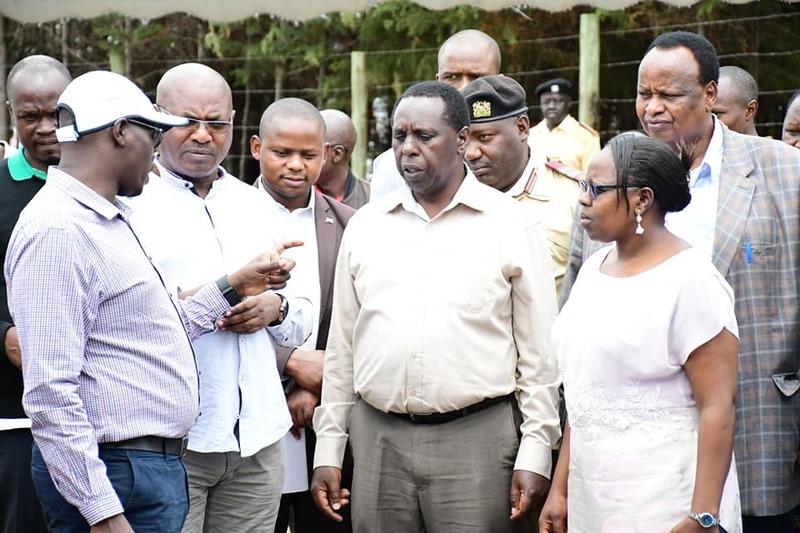 While there, the PS handed over livestock registration certificates from Kenya Livestock Breeders Organization (KLBO) to five members of the group and thanked them for embracing the concept of value addition in dairy cows. 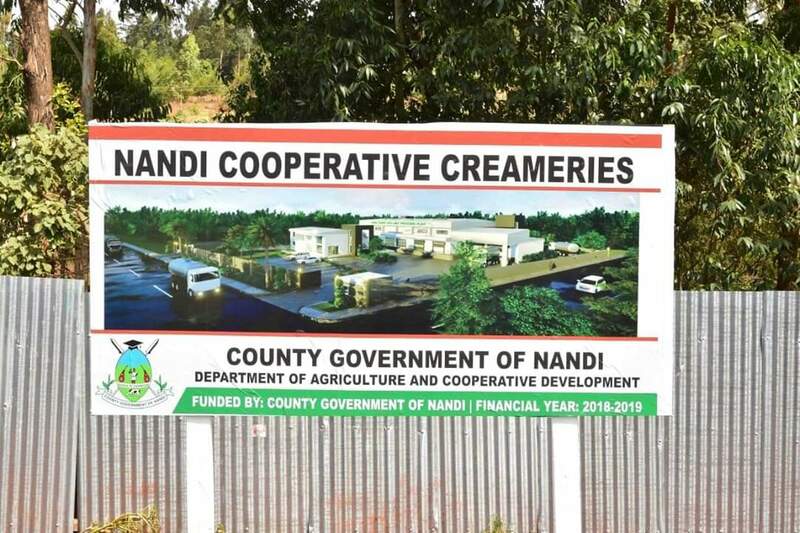 Through its department of Agriculture, the County Government of Nandi is very keen on growing the dairy sector and has greatly invested in the dairy value chain. 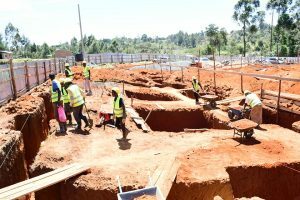 To show the County Government’s commitment, the department is establishing Nandi Cooperative Creameries (NCC) in Kabiyet, intensifying AI Subsidy Programme across the county as well as setting up 30 milk cooler structures among many other interventions that are geared towards commercializing and transforming the dairy sector. Feed hammer mill worth Ksh. 240,000 by the County Government through the SDCP Programme. 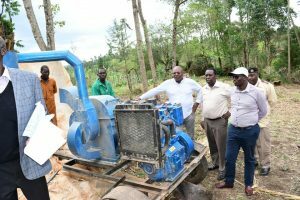 Nandi County is among nine other counties that include Bomet, Kakamega, Bungoma, Trans Nzoia, Kisii, Nyamira, Uasin Gishu and Nakuru Counties which are implementing the program. During his visit, the Principal Secretary announced that Nandi will get an additional of Ksh24,000,000 in the F/Y 2018/19 through the program. 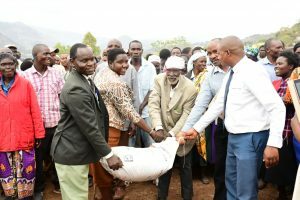 The County Government of Nandi in collaboration with Kenya Cereal Enhancement Programme (KCEP) on Wednesday and Thursday held field days in Chepkumia and Kabiyet wards in Chesumei and Mosop Sub counties respectively under the theme ‘Use of appropriate technology for Food Security and Income Generation’. 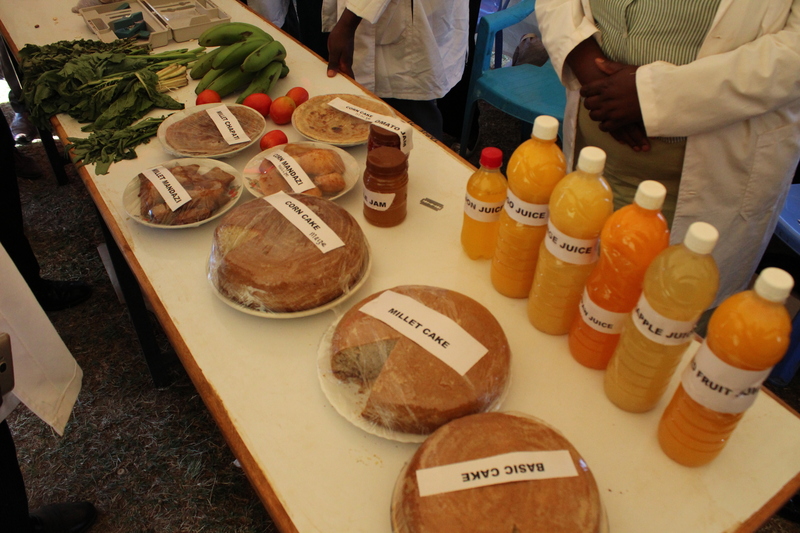 The agricultural expo brought together hundreds of farmers from the two wards who showcased their best agricultural practices leading to a Sustainable Agriculture & Food Security to other farmers. Farmers had an opportunity to interact, learn and gain knowledge about modern farming technologies from the experienced and finest farmers. 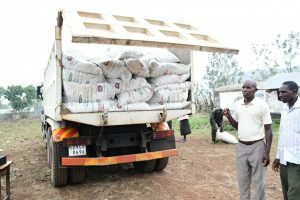 Kenya seed displayed their value added cereals such as maize baked cake,Crisps made of beans, beans baked cake among others. 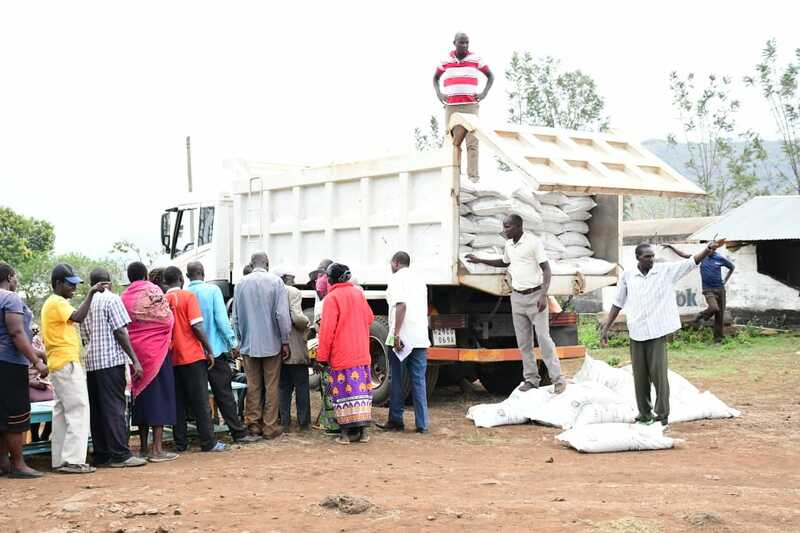 The objectives of KCEP are in line with that of the County Government to contribute to National Food Security by increasing production of cereal staples, increase income of smallholders in medium and high potential and to support smallholder’s farmers in graduating from subsistence to commercial Agriculture. While officiating the two events, CO Agriculture Wilson Lelei urged more farmers to enroll into the program and stick to it as it will help them advance agriculture wise. 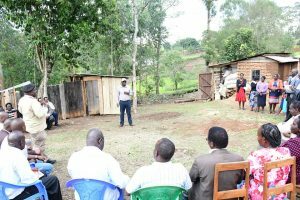 He further urged farmers who have subscribed to the program to attend subsequent trainings as it help them learn new ideas. In Nandi County the programme is implemented in two Sub counties, Chesumei and Mosop. 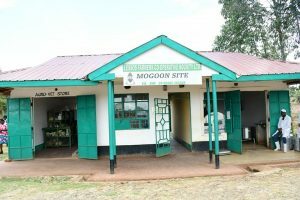 In Chesumei the programme is in 5 wards while in Mosop it is in 7wards.In 2016,the county target for category 1 farmers was 1000 and 960 was achieved, In 2017, the county target for inputs support for first year farmers was 3000 and achieved was 2276, the target in 2018 was 873 and 746 was enrolled, In 2019, 1062 farmers have been enrolled and the 40% contribution is ongoing. The programme is based on Public-Private Partnership between Kenya Agricultural and Livestock Research Organization (KALRO) which is tasked with dissemination of research based technical packages, Agriculture Market Development Trust (AGMARK) for building the capacities of agro dealers, Equity bank is designed to facilitate smallholders access to Agricultural input through an e-voucher system, East African Grain Council (EAGC) which is tasked with post-harvest management and market linkages. Education and training is one of the principles of Cooperatives.Cooperative Societies need continuous provision of education and training to board members and management as a means of building capacity needed and aspirations. 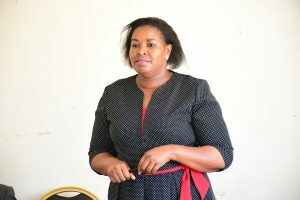 The Training is aimed at developing and enlightening a responsible leadership capable of directing and effectively controlling cooperatives for the benefit of members and for continued prosperity of the cooperative development.This is achieved through imparting relevant management knowledge,business and entrepreneurial skills needed by Board members to enhance effective and efficient services rendered. 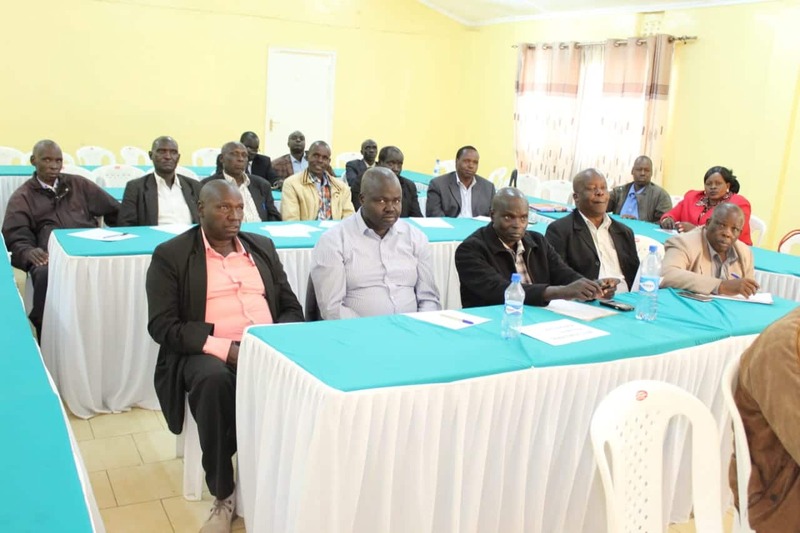 The department of Agriculture and Cooperative Development conducted Education and training to Nandi Teachers Investment Cooperative society onCooperative governance and roles, Cooperative policy,Human Resource,Books of accounts and finance. 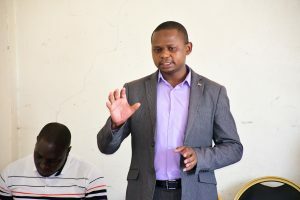 While speaking during the training the Director for Cooperative Development Stalin Koech urged the members to conduct their activities as required by the cooperative laws. He also reiterated on the importance of the society having a strategic plan as this will help them in achieving their Vision. 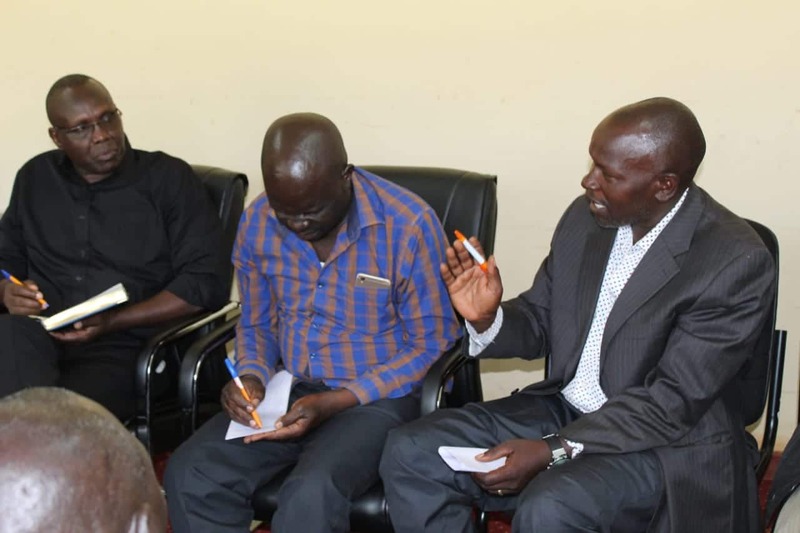 The County Government of Nandi through the department of Agriculture and Cooperative Development on Tuesday met with stakeholders from Cooperative Alliance of Kenya (CAK) to elect delegates who will represent the county at the body. The roles of delegates is to represent, fulfill and further the interests of its members with emphasis on lobbying, advocacy, networking and collaboration at the local, regional and national level as well as offer leadership that develops and natures cooperatives to become viable social economic enterprises. 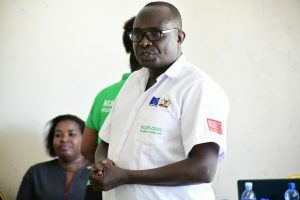 Presiding over the election of five delegates, the director for Cooperative Development Starlin Koech applauded the exercise as the delegates were drawn from the six sub counties. The Cooperative Alliance of Kenya (CAK) is the national apex organization for Kenya’s cooperative movement. Its membership is drawn from over 14, 000 registered cooperatives that includes the National Cooperative Organizations (NACOs), cooperative unions and primary cooperative societies. The mandate of CAK is to lobby and advocate for a favorable and enabling policy and legal environment for cooperatives with an aim of creating harmony in the cooperative movement. CAK endeavors to promote development, unite and represent the cooperative interests on all matters of policy and legal framework of the cooperative movement in Kenya.